A new study by University of Iowa microbiologists now suggests that bacteria may even be a cause of one of the most prevalent diseases of our time: Type 2 diabetes. 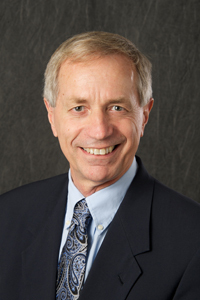 The research team led by Patrick Schlievert, professor and department executive officer of microbiology at the UI Carver College of Medicine, found that prolonged exposure to a toxin produced by Staphylococcus aureus (staph) bacteria causes rabbits to develop the hallmark symptoms of Type 2 diabetes, including insulin resistance, glucose intolerance, and systemic inflammation. “We basically reproduced Type 2 diabetes in rabbits simply through chronic exposure to the staph superantigen,” Schlievert says. Obesity is a known risk factor for developing Type 2 diabetes, but obesity also alters a person’s microbiome—the ecosystem of bacteria that colonize our bodies and affect our health. Schlievert’s research has previously shown that superantigens—toxins produced by all strains of staph bacteria—disrupt the immune system and are responsible for the deadly effects of various staph infections, such as toxic shock syndrome, sepsis, and endocarditis. The team’s latest study, published recently in the journal mBio, shows that superantigens interact with fat cells and the immune system to cause chronic systemic inflammation, and this inflammation leads to insulin resistance and other symptoms characteristic of Type 2 diabetes. In examining the levels of staph colonization on the skin of four patients with diabetes, Schlievert’s team estimates that exposure to the bacterial superantigens for people who are heavily colonized by staph is proportional to the doses of superantigen that caused the rabbits to develop diabetes symptoms in the team’s experiments. The team also is investigating the use of a topical gel containing glycerol monolaurate, which kills staph bacteria on contact, as an approach to eliminate staph bacteria from human skin. They plan to test whether this approach will improve blood sugar levels in patients with prediabetes. In addition to Schlievert, the UI research team included Bao Vu, Christopher Stach, Katarina Kulhankova, Wilmara Salgado-Pabón, and Aloysius Klingelhutz. The study was funded in part by grants from the Carver Trust Collaborative.